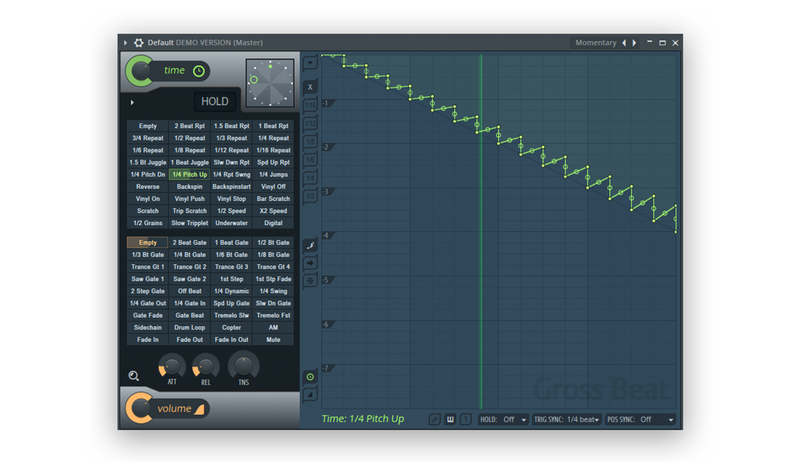 Gross Beat is an extremely popular time- and pitch-shifting effect manufactured by Image-Line and distributed as part of FL Studio since version 9. Similar to Effectrix or the Kaossilator, Gross Beat can quickly apply rhythmic pitch-shifting and gating patterns to a channel’s output. Unlike most other major popular VSTs, though, Gross Beat is only officially supported for Windows machines. Coincidentally, many trap music producers are Windows users. Since FL is a reasonably priced DAW, and since Windows devices tend to be less expensive than their Apple counterparts, the barrier to entry is much lower for a budding young producer without a fancy studio or a production budget. FL Studio 12 is well-suited to experienced producers as well; it’s a full-fledged DAW with serious horsepower and plenty of exclusive plugins. FL Studio and Gross Beat have become synonymous with the sound of Atlanta trap music, whether it’s creating a gate effect (like Lex Luger’s signature riser), slowing down a sample (as heard on TM88’s beat for Lil Uzi Vert’s XO Tour Llif3) or as a tape stop (as heard here on Peewee Longway’s seminal Blue M&M tape). The sound is so ubiquitous that it’s almost difficult to find a trap song without Gross Beat touching some part of it! “Gross Beat is a cool tool, man. You can do a lot of things with Gross Beat. I just automated the thing… you know, automated it to just chop and stop and go and have a rhythm to it. Despite its relatively simple and user-friendly GUI, Gross Beat is a versatile tool, capable of mangling audio beyond recognition or quickly applying subtle effects. The user interfaces with the plugin by drawing in modulation patterns on the XY pad, or by selecting a preset from the menu on the left. Windows producers are in luck, as FL Studio is an official Windows release. This means that if you’re on a PC you can enjoy using Gross Beat as part of FL, or as a ReWire plugin into another DAW of your choice. 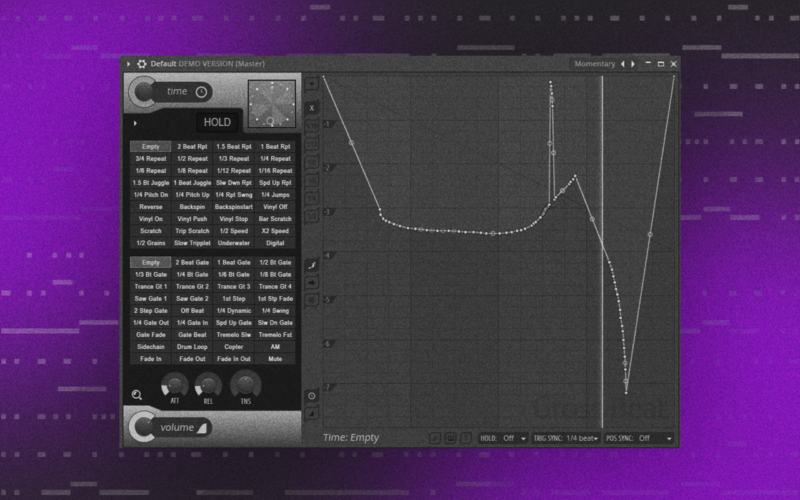 Alternatively, Image-Line offer a standalone VSTi version of Gross Beat for use outside of FL Studio, and they have been kind enough to offer a discount of 40% off the Gross Beat VSTi for Splice blog readers. Use code SPLICE40GB at Image-Line’s shop to take advantage of this deal. Unfortunately for Mac users, though, macOS is not officially supported. 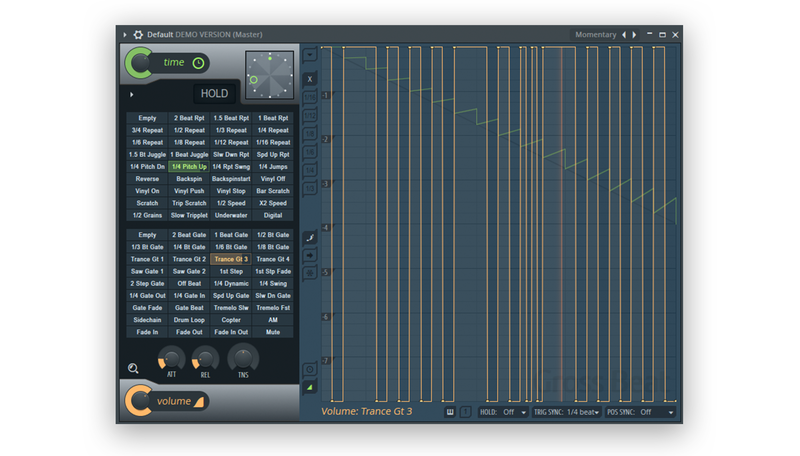 You can download the beta version of FL 12, but be aware that this version remains a work in progress. In my experience, the beta runs well despite a few issues. For example, the GUI doesn’t always translate when using two screens, FL sometimes overrides macOS’s built-in audio interface’s volume control, and FL’s cursor can replace the default macOS cursor even when using other programs. Honestly, I like this cursor way better. Even if there are a few kinks left to work out, Mac users should give the beta a shot. If nothing else, you’ll be helping Image-Line improve an already fantastic piece of software. Plus, you’ll get a chance to try out Gross Beat using your own music! If you’re a non-FL user, you can try running your samples through Gross Beat’s modulation and exporting them back into your native DAW. You’ll soon realize why this “secret weapon” has gained such a devoted following in the trap community. Have fun, and make sure to purchase the full version once it becomes available for Mac.